There may have been actual squeeing at my desk at work! 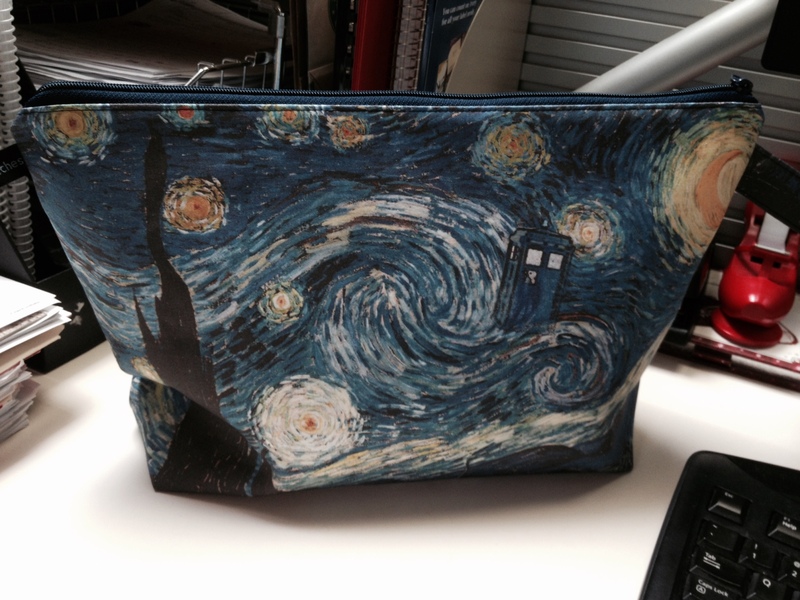 This entry was posted in Uncategorized and tagged project bag, Starry Night, TARDIS, wedge, zig zag stitches by Rayna. Bookmark the permalink. THIS IS GOING ON MY WISH LIST. Love it! It’s beautiful Rayna, do you have a link to the maker please? It has a very nice shape. I bought one of her sock-sized bags in KW last week and then ordered this one, which is substantially larger (large shawl sized, I’d say!) She also has a sweater size.